Karen Scott’s tall Henson boots will be a handsome winter addition to have in your wardrobe. 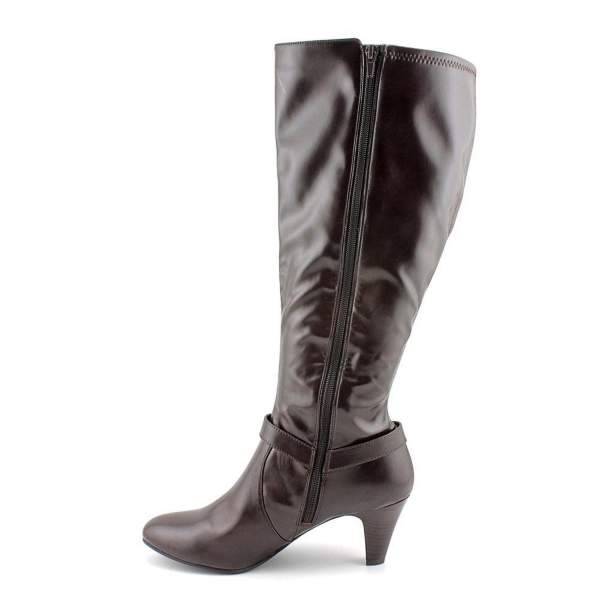 These boot are super comfy and absolutely beautiful. They will look great with your skinny jeans and long coat winter combination. They feature a stylish strap embellishment with a metal ring detail, as well as a stacked wooden heel.